* Improved Text Editing and Text Placeholders make it a snap to express yourself. Automatically insert slideshow title, author, music title and artist or filename, EXIF metadata and more to quickly create a portfolio show. 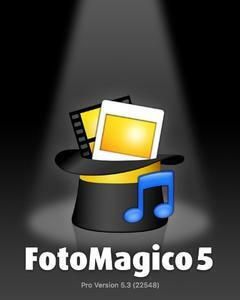 – FotoMagico requires a 64bit Intel Macintosh that runs on OS X Yosemite (10.10) or newer. – Performance in FotoMagico will be best, if you have 8GB of RAM (or more), a graphics card with 512MB of video memory (or more) and an SSD instead of a regular hard disk.